So far in my blogs about the Ionian Islands, I have concentrated on what I feel are my favourites. At this point I need to clarify that these have only become my favourites because I have spent so much time on them. The virtues of the less-explored parts of the group are there for all to see, I just haven’t had the time in my life to give them the justice they deserve. For the moment I must resign myself to recounting the few experiences I have had and look to giving them the time they deserve in the future. The best way to do this is to start with the Island I visited first, right at the beginning before my love for Greece had even had time to hatch, let alone grown and develop deep in my soul. This is the Island of Corfu, however, as is the nature of my eclectic mind I feel the urge to go back in time a way, to my first experiences of travel and the sea. As I drift towards the end of my series on the Ionian Islands, I feel the need to start looking further afield. A day that will ever sit in my mind was the one we sailed across the equator on. There was a ceremony at the pool, and all those passengers crossing for the first time were covered in the likes of ketchup and cornflakes and thrown into the water. Of course it wasn’t actually my first time, but I think they draw the line at throwing toddlers in, so I was included this time. 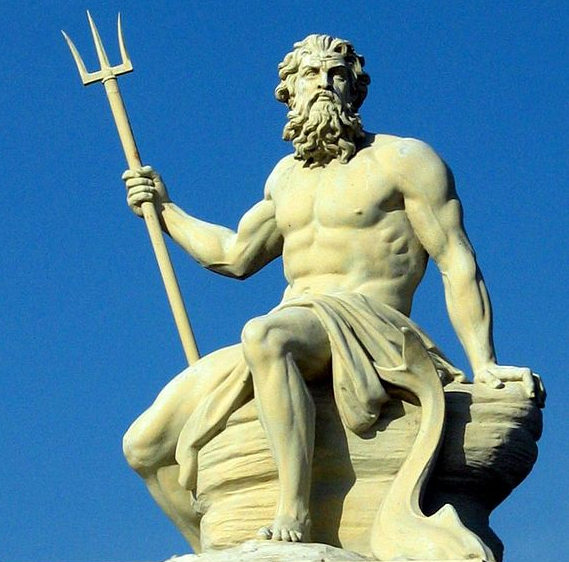 My reward for the ritual humiliation was a certificate to say I had been granted the freedom of the seas by Neptune. Of course in Greek mythology, Neptune translates as Poseidon and has his temple at Cape Sounion, a place I visited much later. Maybe it was this moment, being thrown into the pool by white uniformed merchant seaman, but more likely it is just my nature, but I have always loved the sea. During my time in Greece I have travelled countless sea miles on the giant car ferries, I have run between the Islands on the smaller ones, I have sailed Yachts, ridden windsurfers, and just canoed around the bay. Life in the Greek Islands is entwined with the sea, all supplies come via boats and in many cases so do the visitors on who the local economies are so often reliant on. Whilst the beaches and the towns are beautiful and enriching, the sea should not be ignored. You can get such a different perspective from the water, and the little rides between Islands, drinking Frappe and eating toasted sandwiches in badly decorated rusting ferries are part of an overall experience of the country and should not be missed. 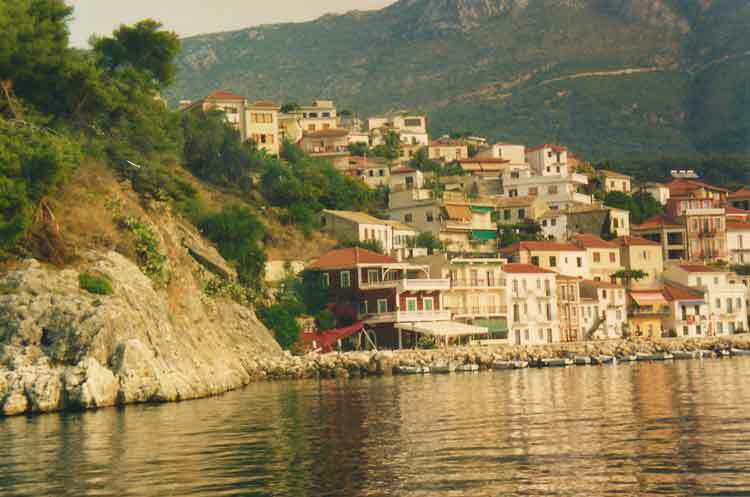 It is only by riding ferries that I have stumbled across places along the way, such as Parga on the mainland, where I have been able to make plans to revisit on a later day and make them the feature of my attention when otherwise they may have just remained just a silent name on a map. Greece has always been of interest, with its great history, and strange language, and of those destinations I was aware, the Island that had been most popular was always Corfu. So it is no surprise that this is where my travels started. It was by chance that I went to Corfu at first. 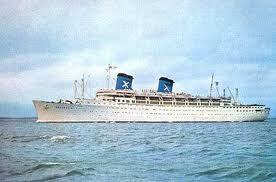 I had been planning a trip with a friend, two weeks in the sun, but had got nowhere with booking anything. We had always planned to leave it to the last minute and book something cheap, we were young, with limited budgets, and were happy to just take a chance. In the end it was my friends Mum that picked up the flights on the old Teletext system, and there it was, we were flying to Corfu. I have already covered my opening moments in an earlier blog, so not wanting to repeat myself I will look at Corfu Town itself. Our initial experiences were the same as with most of the Islands. The airport set outside the main town, you find yourself a little in the country, but that itself is remarkably different to the UK version. Rather than carefully manicured fields with nicely spaced crops, Greece is of course more subject to the effects of the heat. The fields are unkempt, with trees and bushes rising sporadically along the boundaries, the crops are largely unrecognisable and you have the feeling that farming is nothing but an afterthought, with a few plants reaching up into the warmth of the day, testing their chances against the harsh elements, desperately trying to survive the dry summer before the Autumn rains step in to give them any chance of maturity. As you get closer to town, businesses and industry come first, mostly on a small scale, sufficient to supply the sparse local populations, but nothing more. There are car dealerships, builder’s yards and of course petrol stations, with those local brands of fuel that remind you that you are not in Kansas anymore. But mostly it is bespoke businesses designed to fill the needs of a population that flexes with the seasons. These are always mixed in with the odd bar and restaurant, and the small supermarkets with their hanging Lilos blowing in the warm breeze. Then there come the houses, which soon bunch together as the town starts to take form, with the chaotic misshapenness of Greek architecture, every building unique as these have not been built by developers, long streets of matching buildings, no these have been built by the families that live within, and more than often they are left unfinished, with rusted foundation poles sticking out of flat roofs, where washing dries on makeshift clotheslines, and more often than not, solar panels now sit to heat water for the occupants. 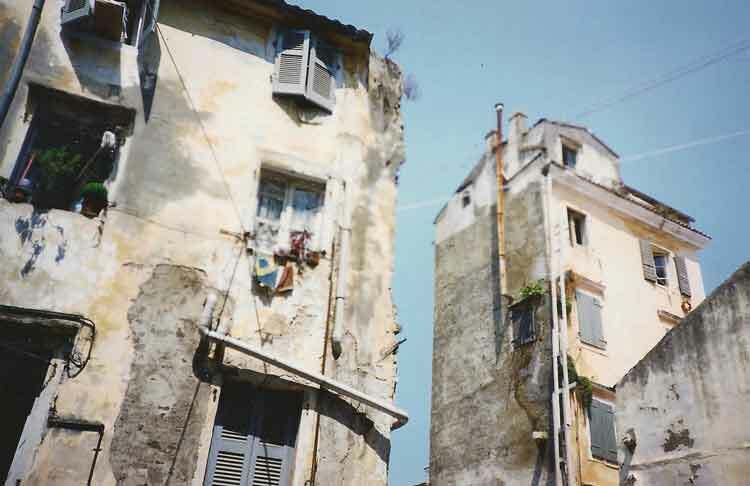 It is only when you get into the old town of Corfu where you start to see a little town planning, with rows of multi-floored houses packed closely around narrow streets. Above you balconies are packed with plants and the overspill of the lives within, washing lines reach between buildings and clothes dry in the perfect heat to be recovered by pulley systems that maximise the space that is provided. Around you at ground level, cars parked along streets without markings, and mopeds left with helmets dangling from handlebars and keys intact. There is an informality about town life, but people are busy in the summer, as that is when tourism brings the money. The closer you get to the harbour, the more tourism affects business. With travel agents and tavernas become predominant. 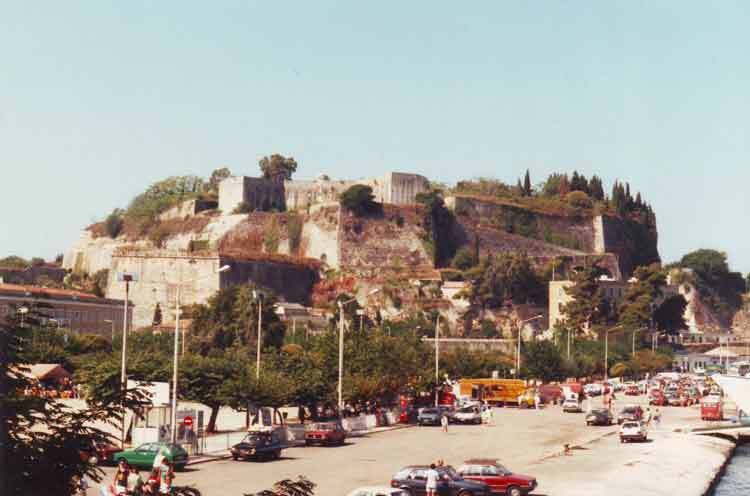 Corfu is a busy ferry port, and you have people like myself and Darren, flying into the airport, and finding boats to take us further down the Island group, mixed with day trippers out to visit local points of natural beauty and other interest. It is also a main stopping point for the giant ferries that come down from Italy, from Venice, Brindisi and Ancona, ferries that pass on through to Patras further south at the North of the Peloponnese, and further on to Pirreaus, the port of Athens, and other destinations in the Aegean. It is a busy port, and you can sit in the tavernas along the front and watch the towering floating vessels of the big commercial fleets glide into the harbour where they moor and drop their front gates to create a bridge to the Island. From these gaping mouths spill pedestrians and cars, lorries and coaches, and sunglass wearing locals on mopeds who buzz off into town on their daily business. Then the waiting masses on the portside will flow steadily inside, to be swallowed whole by these giant metal whales. And then they are gone, with the sound of a horn and the fuss of water being pushed out as they reverse away from the dock. The lives of countless faceless people moving on to new places and fresh adventures, with you left sitting quietly with your slowly cooling cup of Nescafe on the warm afternoon in the sun shade of a taverna. 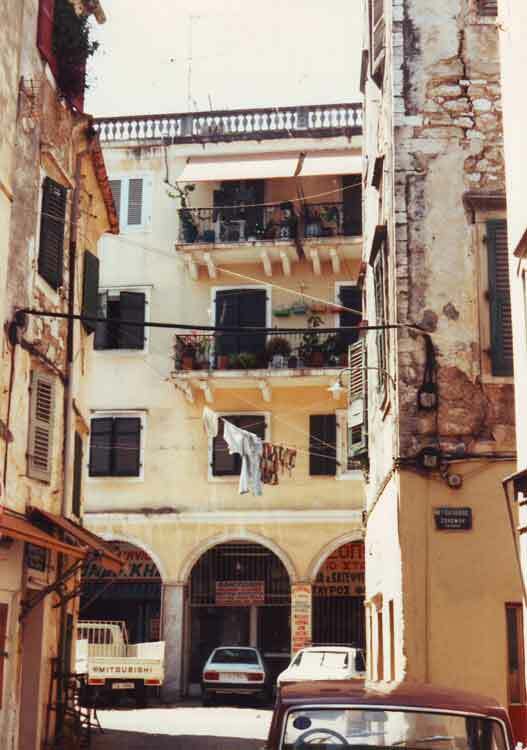 The old town of Corfu is a testament to a time when buildings in Greece were not all concrete and steel, there is a relative order to the chaos, and the architecture is the match of any European city in parts, yet slowly crumbling in the eternal sun. The shade of the streets reaching up above you makes wandering in the heat of the day more bearable, and you are rewarded with an endless collection of shops selling everything you might want to take home as gifts for friends and relatives or just private memories of the Island that will sit gathering dust in as life once again absorbs the traveller returned home. There is an old harbour to Corfu as well. A cove dominated by the sandstone remains of a fort, belonging to a civilisation that dates back to the fledging days of mans attempts to build society. On my first visit to Corfu my friend and I discovered this on our early morning walk into town, the scene swathed in the red light of the Ionian sunrise. My first in Greece, I have seen many but this will always stand out in my memories. On a later trip to Greece, my brother and I hired motorbikes, and set off to explore the Island one day. Corfu is reasonably large, and having heard stories of endless party towns to the south we headed to the North of the Island. We encountered these resorts with umbrellas and beach recliners laid out in rows along the tiny pebbled beaches, but moved on through to explore the real Corfu we had heard about. And we found it, in a terrain more lush and fertile than the other islands, obviously causes by its more Northern geographical location, we found endless tracks and roads to explore, and the tiny towns I have learnt to love for their serene quiet and relaxed informality. 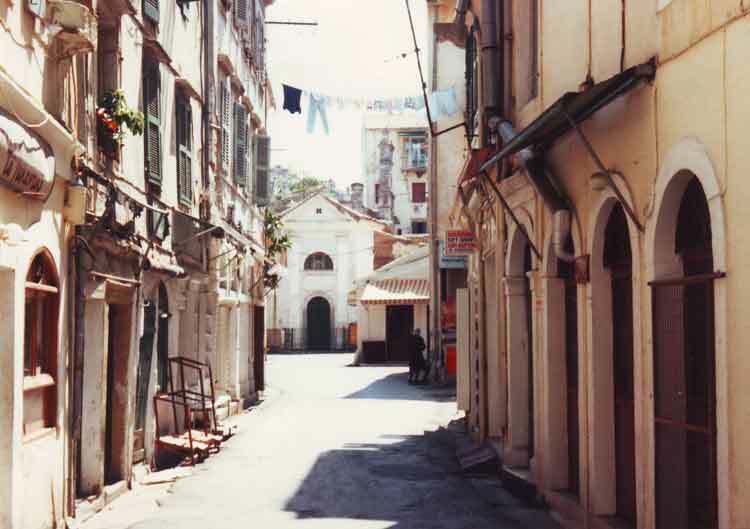 But we never gave it enough time, so my memories of Corfu will always be limited to those long days spent in the town waiting for Ferries or flights, a well resourced stopping off point for the iterant back packer. I will leave it here for now, I will finish my recollections of the Ionian in my next blog, but from there I will be moving on to places afar. If you want to read back over my previous blog, please follow the link below. If you want to go back to the start of this series, here you go! As always, please leave your comments below, I’d love to hear of your own experiences.